Think to empty the lint trap is enough? May have to guess again. Although regularly emptying the lint trap significantly helps, some lint does find its way through the vent and builds heavily on the ridges of the flexible hose. If Jake is in your home cleaning up your carpet and upholstery, considering having him clean the dryer vent for fire prevention. Clothes are hotter than normal at the end of a standard drying cycle. The flap on your outside dryer no longer flaps when the dryer is on. 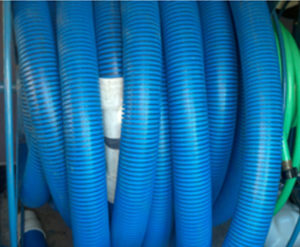 Flexible or plastic dryer vent hose. The dryer is a long distance from the exterior dryer vent. Dryer duct installed has many bends in route to the exterior dryer vent. Clothing being washed has been soiled with flammable materials such as gas, motor oil, cooking oil, etc. Wash lint screens every few weeks to remove residue left by fabric softeners. Keep combustible chemicals away from your dryer. Only run the dryer when someone is home. Use dryer ducts that are at least 4 inches in diameter. Install a screen on the exterior vent to prevent animals from entering the duct.